You save time, save hassles, and even save paper! Ask that one question to most realtors, and they’ll fumble for an answer. Then they’ll spend a few minutes promoting how you’ll be featured on the Multiple Listing Service (MLS). That’s a given. All realtors promote their listings through the MLS. In fact, for a small fee, you can list your own property on MLS. Then, they’ll talk about their own brokerage website. 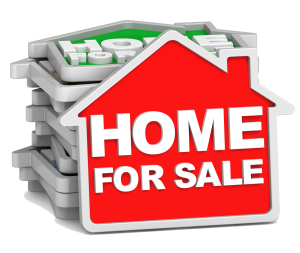 Keep in mind, most brokerage sites get very little traffic, leading to very few (if any) showings. Maybe they run Craigslist ads, or say how you’ll appear in the local newspaper, or talk about your home flyers. ALL of these so-called “marketing tactics” are very basic and should be a small part of a much bigger, much broader marketing plan. I am more than a REALTOR… I am a marketing specialist. My marketing team conceptualizes, writes, and designs the most creative and efficient marketing campaigns specialized for your home. And through a thorough and experienced Internet marketing team, the properties we list are continuously found on the first pages of major search engines — where your buyers start their search. Not only will you benefit from the sophisticated marketing I will do for you, my online Real Estate Selling System enhances efficiencies and reduces paperwork. You’ll have the ability to accept, reject or counter offers and terms online. You’ll have full control in overseeing the entire selling process on our website, including tracking visitors and offers anywhere and anytime. My online fully automated selling system offers advantages standard real estate methods don’t. Such as unlimited pictures of your property,unlimited videos, high Internet visibility, exposure with Targeted Property Specific SEO and online marketing campaigns. The online advantage also reduces paperwork, enabling us to keep a greener world for our children.